From left to right: Joel Yatscoff, studio lead at Cortex Design Inc; Gonzalo Tudela, CEO and founder of Vandrico; and John Wang, partner at Deloitte. Via @AmandaCosco on Twitter. A new wearable device aimed at improving the safety and productivity of miners was unveiled at the Putting Wearables to Work event on Dec. 8 in Toronto. Partnering with Cortex Design Inc., a Toronto-based design consultancy, and the Northern Centre for Advanced Technology Inc. (NORCAT), a nonprofit tech and innovation centre in Sudbury, Ont., Deloitte has developed a lightweight wearable device for miners that attaches to the brim of their existing helmets. It uses a light to notify miners of various levels of threats, escalating from yellow to red when something is seriously wrong. In the 21st century, the speed of change has accelerated and wearable devices are on an exponential curve, Terry Stuart, CIO at Deloitte Canada, told the crowd at the event hosted by Deloitte Canada and We Are Wearables in Toronto. He stressed how important wearables can be for enterprises, with the technology often leading to more efficient and safer work, especially in tactile, high-risk industries such as the mining sector. 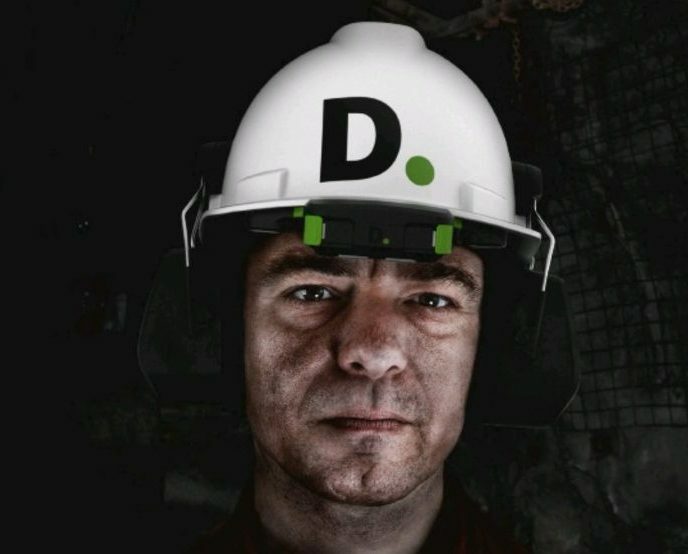 Deloitte’s rechargeable device boasts large tactile buttons that can be used even with gloves, as well as gesture-sensing capabilities if a miner’s hands are occupied. The device contains sensor modules that monitor the environment around the miner, including carbon monoxide, methane, temperatures, humidity, and location tracking. Prototype of Deloitte’s smart helmet, designed by Cortex. Via @WeAreWearables on Twitter. To design such a tool, the Cortex team traveled to a mine in Sudbury to research firsthand and speak with working miners on what exactly they were looking for. “Design is a product of environment and users, and we needed to design something to be successful in the harsh, punishing environment of a mine. Desktop research will only get you so far, so the Cortex team actually went to a mine and interviewed miners on what their daily lives are like and what is most important to them,” said Joel Yatscoff, studio lead at Cortex. In order for a wearable to be relevant, Gonzalo Tudela, CEO and founder of Vandrico Solutions, a Vancouver-based industrial software company, explained that it needs to accomplish several things: get information to users, actually measure various activities, have an appropriate and simple interface for users, extend human capacity, and be able to work independent from a smartphone or computer. The smart helmet does that and more, Tudela told the crowd. It operates on a connected platform that collects data, which is used to track miners’ movements and then analyzed to predict danger. He said that while many people expressed their wariness of being monitored and having their information collected, most miners interviewed by the team during preliminary research said that if it would improve safety and save lives, they would wear such devices. Wang added that customers have responded well to the smart helmet device and the company is ready to scale up production soon. However, scalability has been an issue in the wearable devices market. 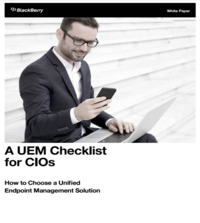 Tudela explained that in order for wearables to be effective at a company-wide level, the technology needs to solve a problem in a scalable way. “Not everyone has figured out how to scale things enterprise-wide, and that’s the key to making wearables valuable enough for a company to invest in such technology,” said Tudela.